For Raven’s birthday we went to Anilao, Mabini, Batangas and had a relaxing and fun-filled weekend at Le Chevrerie Resort and Spa. I am posting these six photos as a teaser for a future blog post here at menardconnect.com. Thanks to the Le Chevrerie staff for making our stay memorable! Here is another Post Picture Now Blog Details Later post with some free six twist. We recently went to Bicol, and had a weekend at Misibis Bay Resort in Cagraray Island, Bacacay, Albay, Philippines. I am sharing these wonderful six photos as a sampler and placeholder for a future blog post. Malacañang announced the official list of Philippines Holiday 2015 last year (around July 2014). And to help you out my readers who are searching for 2015 Philippines Holidays, I am posting this here at menardconnect.com. Other proclamations will be issued by Malacanang Palace for the observance of Eid’l Fitr and Eidul Adha when dates of these holidays are finalized. 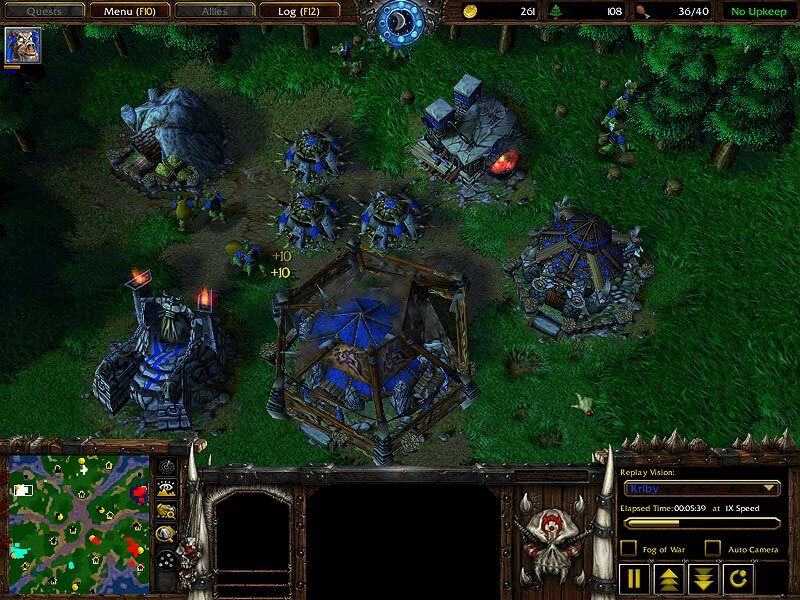 That is what the orcs will shout (in their very unique husky and grunty voice) when the enemies attack their orc base in Warcraft 3. Late last month, this blog experienced some form of attack from malicious actors who-must-not-be-named. We all know I’m using WordPress, and some dudes out there are trying to login to this blog’s WordPress administration panel and do some brute force attack on guessing my password. Simply put, this means some bad guys (I will collectively call it hax0r) are trying to pretend to be me (me, the website blog admin) and try to get into the wordpress admin console so that they can control the website and blog. More basic info on brute force attacks here. I will not delve into the technical details of the attack , but in tradition of my good old free six video and free six series, here are six easy to-do tips and tricks that users/admins can do to prevent or better prepare themselves (blog owners) against these WordPress WP-ADMIN Bruteforce attacks. Just like any software, WordPress have its own security flaws and it needs to get updated from time to time. Admins are advised that they should always update WordPress to the latest version, for more info on this go here. When a new version of WordPress is available admins will receive an update message in your WordPress Admin consoles. Just like the wordpress core files, plugins needs to get updated too. If your blog relies on many plugins, do not worry because when a new version of WordPress plugins are available you will also receive message in the WordPress Admin console that its time to update. There are also automated update settings if you want to try it out. 3. Do not use Admin as the username of the administrator account. Yes the hax0rs are trying to login via the “admin” username, but as a basic security practice, I disabled it every time create a wordpress blog. I suggest the you be creative. Use NIMDA instead! This piece is quite a revealing one, the hax0rs are trying to get in via the username menard. My name is public info in this blog, so they are clever and they tried it too. But luckily I did not use that name so I avoided that loophole in this admin account issue. If you are not using the wordpress themes and plugins, do not keep it. Delete it asap. This one caused me some issues several years ago, but my advise here is if you are not using any theme or plugin that theme or plugin should be deleted ASAP because these are like low hanging fruits for attackers. Just like security softwares (antivirus, antimalware, anti-threat) for your PC, Macs, iPads, smartphones and other devices, wordpress blogs needs some security tools too. There are some good free wordpress security plugins that works well but I will try to share two: Login Lockdown and Sucuri . I just want to greet all my friends online and IRL and all the readers of this blog a Happy New Year! May we all have a fruitful and blessed year this 2015!!! 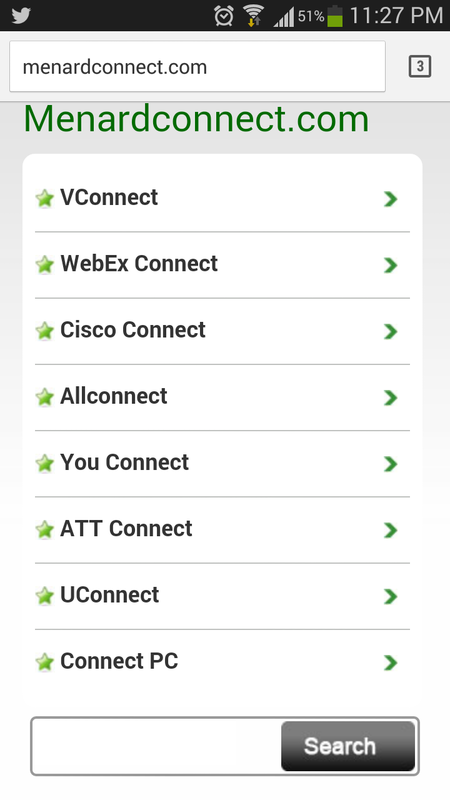 Happy 6th Year Anniversary to Menardconnect.com!!! 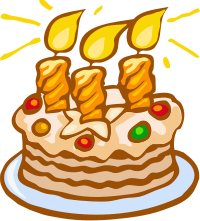 This is the traditional Blog Happy Anniv post and here the links to the 1st post and the first full post (non-hello world 😉 ). as well as links to the anniversary blog posts for the 1st, 2nd, 3rd, 4th and 5th year. After 600 posts, and a lot more of stats that is hard to keep track of 😀 I am happy that menardconnect.com is still alive and kicking!!! The only challenge this year was I was so busy with a lot of things and I forgot about my domain reg so my blog was pawned on the anniv date. First of all, I would like to thank God for all the blessings He has given me and my family! Next I would like to thank my family, they are my inspiration for this blog and all of my blogs! Next my thanks goes out to my friends (IRL and online ) for all the support they have given me and my blog! Special thanks to my webhost admins (Melvin and Daryl) at web.com.ph for their timely assistance to me during my blog anniv snafu. Last but not the least, my thanks to the readers and supporters of menardconnect.com. I will do my best to make menardconnect.com better and better for all you readers out there. 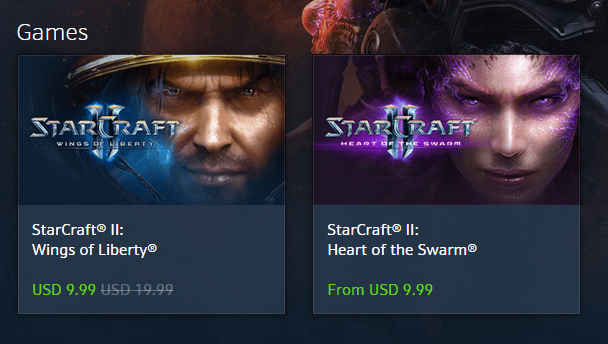 Blizzard, creator of Warcraft, Starcraft and Diablo game franchises is having some Thanksgiving holiday sale now! 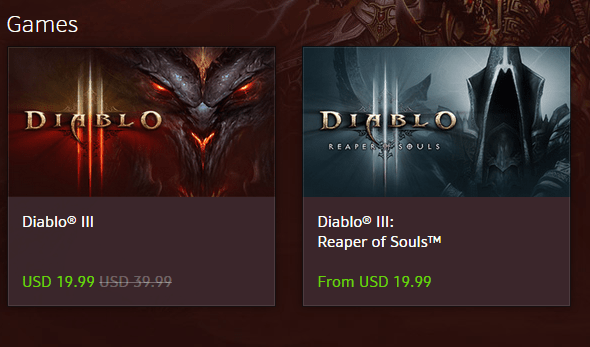 Diablo® III Digital download is now USD 19.99 (50% off the usual USD 39.99 price) and Reaper of Souls expansion is now USD 19.99. 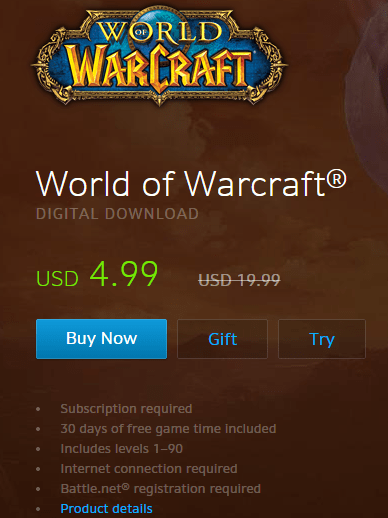 If you are a WoW, SC2 or D3 gamer this is definitely a good deal so grab one now as this may last until December 2, 2014 only!!! Thank you friends! Words are not enough to express my gratitude so why not do a blog post. Again thank you my friends….